KALAMAZOO, MI, February 1, 2017 - The Kalamazoo Symphony Orchestra is proud to announce that, in addition to its existing multiyear alliance with Disney (signed in 2015), it has just signed a three-year agreement with the Los Angeles based Gorfaine/Schwartz Agency and New York based IMG Artists (through their joint venture Film Concerts Live!) to be the exclusive presenter in Southwest Michigan of live symphonic performances of three Steven Spielberg movies featuring scores by John Williams. These KSO@The Movies! 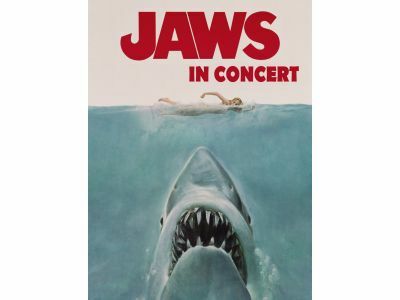 performances are scheduled as follows: Jaws will appear in the 2018-2019 concert season, E.T. in the 2019-2020 concert season and Jurassic Park will be a part of the KSO’s 100th Season in 2020-2021. "We are extremely thrilled to have landed this exclusive agreement," said Peter H. Gistelinck, President & CEO of the Kalamazoo Symphony Orchestra. "Our three-year agreement with The Gorfaine/Schwartz Agency and IMG Artists means a lot and it will be a real treat for our audiences in the Kalamazoo community." Jamie Richardson producer at The Gorfaine/Schwartz Agency, said, "We truly look forward to this new relationship with the Kalamazoo Symphony Orchestra, which we expect will carry on for many years to come." Steven Linder, producer at IMG Artists, said, “The Kalamazoo Symphony Orchestra is a wonderful partner for our symphonic film productions and we are thrilled about this multi-year collaboration”. Daniel Brier, Resident Conductor of the Kalamazoo Symphony Orchestra, said, "This is an amazing artistic opportunity and our orchestra can't wait to start the rehearsals for what promises to be unique, multidimensional concert experiences."